You know the Hunger Games? That book series set in a dystopian far future where kids are made to kill each other for sport? Well, as it turns out that future might not be so far away, as a luxury marketplace is looking to create its very own real-life battle royale. I should stress straight from the get-go that this ‘real-life’ take on the genre isn’t quite as murderous as it might initially seem. In a press release earlier today, HushHush.com (which is like Amazon for the super rich) announced that it’s helping an anonymous millionaire create a 100 player battle royale using airsoft weapons and ammo with touch-sensitive body armour. The competition, which is set to take place this winter, will run for three days, and feature 100 members of the public fighting it out on a private island. 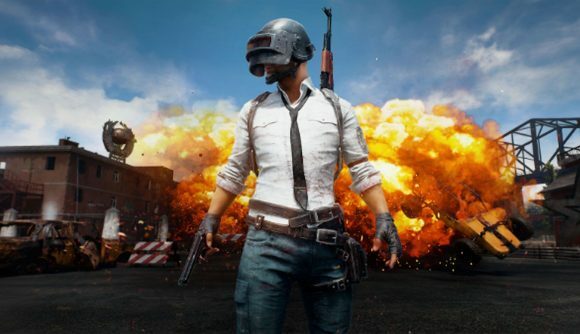 While virtual battle royale players have to be content with victory royales or chicken dinners when they reach first place, the winner of the real-life tournament will claim a £100,000 ($130,000) prize. If you’d rather a slightly safer way to earn some cash, the team behind the game are looking for someone to put the whole thing together, offering a ‘gamemaker’ £45,000 ($59,000) over six weeks to create the event. You can apply for that role here. The anonymous millionaire behind the event reportedly approached HushHush to try and buy a private island for the event. The company’s founder says that the customer “is a huge fan” of the genre, and “wants to make the game a reality in the safest way possible.” Early planning documents suggest that healthcare professionals will be available throughout. Competition will last for 12 hours a day, after which applicants will camp out using food and equipment provided by the organisers. If the first attempt is a success, the organisers are hoping to turn this into an annual event. So, this is an annual last-person standing event, run for the entertainment of the super-rich. Welcome to the first annual Hunger Games.